In part 1 of this blog series we looked at the customer profile for digital financial services. In this blog, we explore the mechanisms used by customers for managing money and the key drivers for adoption of these mechanisms. This blog post borrows quite heavily from Money Resolutions, A Sketch Book and other publications by Ignacio Mas. We encourage readers to go through Ignacio’s website for a more detailed explanation of the ideas illustrated in this blog. If we want to make digital financial services relevant to the mass market, there is a need to understand their (people’s) behaviour and the motivations behind that behaviour. With regard to money, there are three key issues that people are faced with, especially when they have low and irregular incomes. Where will my next $ come from? – People are often scrambling for newer sources of income, which creates a preference to find and work on multiple jobs / ventures. How can I keep on….? – Since income is irregular, there is a need for structuring available money in order to manage expenses. What if…? – People need mechanisms which help them tide over periods of adversity. For instance, family and social circles often act as a cushion when there is an urgent need for money, say, a family member’s hospitalisation. These translate into the gaps people are constantly trying to cover. 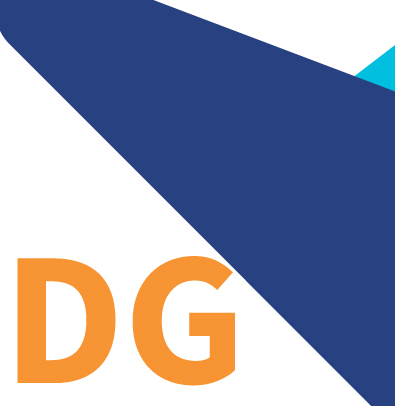 Gaps are hard to manage when uncertainty with regard to income and expenditure is significant. The constant demand for expenditure (not savings, as is normally believed) gives rise to a need for maintaining discipline with regard to the financial practices of this customer segment. However, discipline is NOT the only goal or concern. There is also a great need to retain flexibility to be able to buffer income shortfalls or to deal with unforeseen expenditures. People can’t afford to segment their portfolio to meet the dual needs of discipline (e.g. time deposit, retirement plan) and flexibility (e.g. cash in the mattress, demand deposit). Every dollar would ideally deliver both: discipline when you don’t really need the dollar, flexibility when you do. How can a dollar do both? Discipline in: the discipline that I need to set money aside – to save, repay a debt, or support someone else. This is reinforced with prods, such as reminders, prompts, and rules. Discipline out: the discipline that I need to stay the course once I have set money aside (i.e. to keep it saved). This is reinforced with locks, such as a waiting period, indivisibility, peer pressure, etc. Flexibility to break: If there is an urgent need, I need to be able to dip into the money I have saved up. This is enabled by mechanisms like money guards where people keep money with a trusted and respected member of the social circle, so that they can ask for the money back if there is an emergency, but not for routine or unnecessary spending. You are under-educated and not very numerate (budgeting is an abstraction you cannot grasp, or cannot easily implement). Budgeting works for people with predictable incomes. But, how can you budget when you cannot be sure of what you are budgeting against? What kind of expenditures to prioritise? Which income sources are more important? Which savings can be more easily raided if a need or want comes up? Which assets are more easily pawn-able or sellable in case of need? Which debts are to be repaid first? Which relationships should be asked for help first in case of need? Which relationships are to be helped first, if they ask for it? Spending routines, e.g. on how much to spend on food, how often to have a family day out, target spend on the electricity bill. “Shaping” income to coincide more with spending routines, e.g. by buying a cow that produces daily milk, if you are a seasonal income earner; or turning small daily income into a monthly lump sum or windfall, if you are a day labourer. Recurrent savings behaviours, e.g. participating in a Beesi or Chit(ROSCAs). Buying bigger assets on credit, which forces you to commit to a certain repayment pattern. To a certain extent, some of these hierarchies and routines are established through mechanisms which help automate these decisions. This is often done by applying purely psychological prods and locks on money. By thinking of money in particular ways, people reinforce or refrain from engaging in certain behaviours in a way that maintains discipline. And yet those thoughts can allow for certain outs that justify an alternative behaviour (such as dis-saving or spending money) under some circumstances. How those thoughts play out in people’s mind, i.e. the story that they assign to that money, is what allows them to think of it as discipline money and flexibility money – both at the same time. These mental prods and locks are often reinforced by placing the money in an instrument that imposes additional prods and locks – like placing it in a box under a (literal) key or buying a recurring deposit. These instruments then in turn reinforce people’s ideas of what that money is about. This idea of money having a story that incorporates prods and locks is not restricted to amounts that people have (i.e. savings, assets). It also applies to amounts that they owe (i.e. debts), or potential money (e.g. relationships that they have and could ask for money from). People employ coping mechanisms for creating these routines and hierarchies. 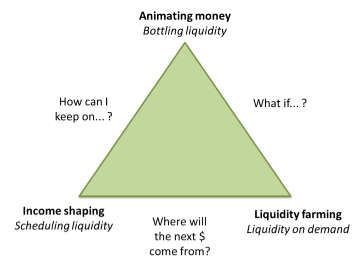 These include animating money, income shaping, and liquidity farming. The figure outlines three primary coping strategies people adopt to deal with their money related worries and inherent contradictions involved in thinking about money. Animating money is the idea of separating money based on a hierarchy of money classes. There might be a goal or a gap these classes of money are trying to address. However, it is very important to understand that many of the tasks defined by people might be fuzzy. For example, there might be a jar of money I’ve kept aside to buy a cow, but if the child is sick, I’ll dip into that jar to meet the more urgent or immediate need. These classes are not constant – they vary significantly across people and even the same person may change his/her categorization over time. Liquidity farming expresses the social role of money. People depend on friends and family to smoothen their finances. They give and receive gifts and loans from them very frequently. This relationship makes upholding social reputation very important. While banks have their methods of scoring, people have their own scoring methods and parameters. These methods take into account the reputation of the person, likelihood of them being of help in time of a financial crisis, size of their network, etc. Financial commitments across the social network can take different forms – they can vouch for each other, guarantee for each other, or give loans to each other. People want to build their social capital by fulfilling their social responsibilities. The built up social capital is an asset for people since it acts as a safety net during times of need. Social responsibilities can expand or contract based on their level of financial success. 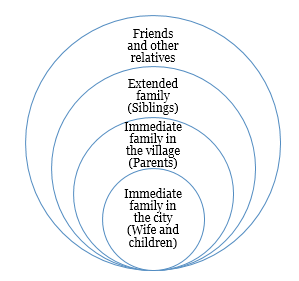 The figure provides an example for the circles of responsibility that a migrant might have. The circles expand and contract based on financial position of the person. The extent of responsibility for the person will expand beyond his/her immediate circle as a certain level of perceived financial success is reached. This can continue into multiple outer circles of responsibility. At the same time, these circles may contract when the financial capability of the person goes down. The net result is that even during periods of surplus, due to the expanded social circles, people often do not have ‘excess’ money. People contribute to their social circles when opportunities arise. The social circle of the person, in turn, offers a safety net for financial needs. This constant movement of money from and to the social circles of a person is liquidity farming, where the person is creating and nourishing his social relationships with a view to leverage them for any perceived future need. 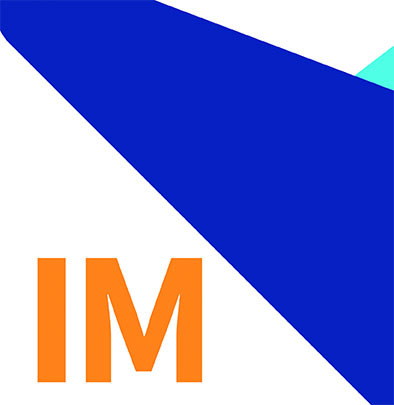 Income shaping strives to ensure that people have access to money when they need it. People often prefer a more predictable and stable income to larger income, often going to the extent of engaging in multiple jobs to do so. People care about the size, time profile and predictability of income. It is important that money should be there when there is a need for money. In an ideal world, for them, income and expenditure should match and success is about establishing regularity in expenses. Introducing stability in this aspect is often equated to financial success. Digital financial service providers often make the mistake of assuming that the solutions they offer exist in a vacuum. The reality is that any solution intended for the mass market will be co-opted or adapted to reflect the current behaviour and motivations for that behaviour. Service providers need to ensure that their solutions enable an extension of people’s physical world – the mechanisms they use and the drivers which lead to the use of these mechanisms – into a digital format. The final part of the blog series will examine how providers can potentially tap into these factors to ensure that their offerings are relevant and useful for the mass market. A group of individuals that fill the role of an informal financial institution through repeated contributions and withdrawals to and from a common fund. Members pool their money into a common fund, generally structured around monthly contributions, and money is withdrawn from it as a lump sum by a single member at the beginning of each cycle. This occurs for as long as the group exists.